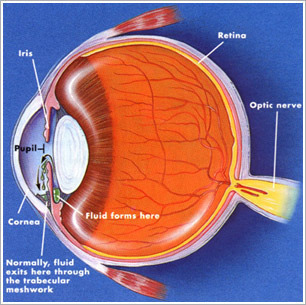 Glaucoma is a disease involving the loss of retinal ganglion cells. At the same time, it greatly affects the function and condition of the optic nerve. When left untreated, patients may end up having visual field loss and permanent optic nerve damage. It is very important to determine its symptoms right away in order to prevent further pain and suffering in patients. Here is a quick look at the symptoms, diagnosis and treatment that can help people fight off the effects of glaucoma, starting from the early signs of the disease. The major symptoms of glaucoma include the sudden onset of visual disturbance, nausea and severe eye pain. In advanced stages, patients may eventually suffer from tunnel vision, vomiting as well as gradual loss of peripheral vision. Additional signs of this disease include reddening of the eye, appearance of halos around lights and blurred vision. 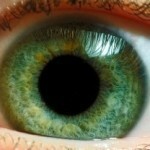 In most cases, patients experience pain somewhere around the eye areas. In other situations, minor symptoms may arise especially when the problem is a result of tumor, inflammation and eye injury among other possible signs. Optometrists and ophthalmologists are eye specialists who are available to provide proper care, help and assistance to eye patients. When diagnosing glaucoma, patients will undergo standard eye examination. Furthermore, they will also take a series of tests and measurements like optic nerve examination, gonioscopy and tonometry. A series of imaging techniques is also needed including scanning laser ophthalmoscopy, scanning laser polarimetry and optical coherence tomography. These diagnostic procedures are highly recommended for assessing retinal nerve fiber layer. In special cases, eye experts usually use the diagnostic method called Frequency-Doubling Illusion. Eye experts use many different methods and techniques for the management and treatment of glaucoma. These include surgical techniques and other drug medications. To help fight the effects of intraocular pressure, patients can use eye drops. People who are suffering from this chronic eye condition must pay special attention to this important aspect because the disease can actually cause permanent vision loss. To improve uveoscleral ouflow of aqueous humor, patients can take various types of prostaglandin analogs like travoprost, bimatoprost and latanoprost. Other helpful drugs for this medical problem are beta-adrenergic receptor antagonists including betaxolol, levobunolol and timolol. For the treatment of delayed gastric emptying and glaucoma, eye experts usually recommend the use of physostigmine. To lower aqueous humor secretion, patients can take various types of carbonic anhydrase inhibitors such as acetazolamide, brinzolamide and dorzolamide.